Turkey. 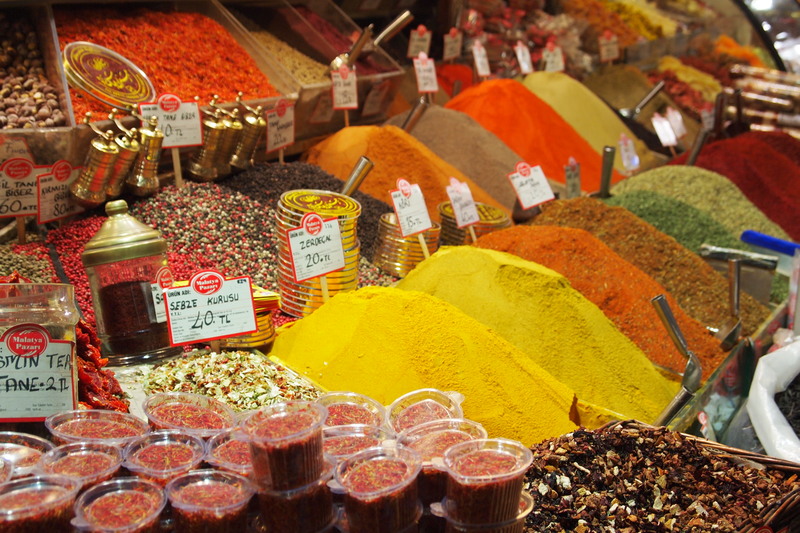 The land of exotic culture and cuisine all your friends are talking about. The cradle of Christianity and one of the only countries in the world to span two continents. It’s a wild ride I enjoyed for 3 years, returning home in 2013. Now back in Minnesota, I wrote this article to serve as your homework :). If you’re visiting Turkey for the first time, you’re in the right place. Let me know if you’d like any other tips, and enjoy what follows! Is it possible to make sense of a country’s two thousand year history when you have only a few days and don’t speak the language? I think it is. Plan to visit Istanbul first. 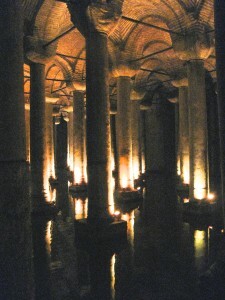 Then, as you branch out from this historic mecca, you will enjoy many other sites and landmarks. I will write about those in an upcoming post. To help you make sense of places you’ll encounter in Istanbul and give you an edge on other tourists, I’ve organized this post into three categories. Each category represents a group of people or a person who shaped Turkey. The Byzantines, folks who kept Christianity alive from 330 to 1453 CE. 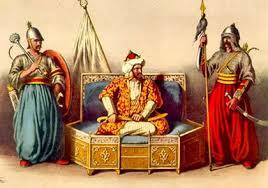 The Ottomans, a group of tolerant Turks who spread their culture throughout the Middle East and Eastern Europe during the golden years of Islam. Kemal Ataturk, a 20th century hero who fought off invading superpowers and put his proud stamp on the modern Turkish Republic. I don’t know about you, but I knew nothing about the Byzantines before I visited Turkey. It turns out they were early, devout Christians. They had caught the fever—and they put it into all of their art. And if you’ve ever attended church, you’ll understand what they were trying to tell us! 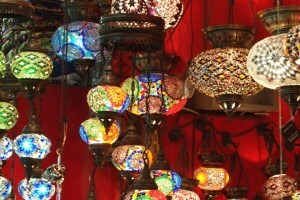 –Walk into the vast, ornate Hagia Sophia in the heart of Istanbul’s Old City. Built after Rome fell and the empire moved a thousand miles east, it was the largest church in the world for a millennium. That’s a thousand years, folks! Take in the vast exterior and the frescoes of Mary and angels. Climb a medieval ramp to the second floor and turn a corner to see a mosaic of Jesus so expressive you might burst into tears. Oh, and don’t miss the graffiti left by the Vikings. 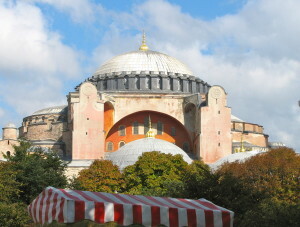 –Travel to the western edge of Istanbul’s Old City to visit the St. Savior of Chora church. 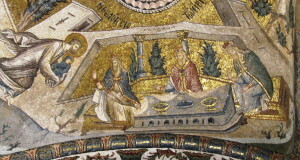 There you’ll find familiar Bible stories—the turning of water into wine, Herod’s massacre of the innocents, Mary and Joseph’s flight to Bethlehem—expressed in mosaics. Yes, tiny little stones tell the tales – and they cover every inch of this incredible 11th century church. –Walk down into the ghostly 6th century Basilica Cisterns, built to supply water to the Byzantines—and then for centuries, forgotten. –Stroll along Istanbul’s Theodosian Walls, built in 413 CE, and consider what “state of the art defense” meant 1600 years ago. These two-layer structures were twelve meters high and two meters thick at their base, with 96 towers and, of course, a moat. –Imagine centuries of mismanagement that shrunk the Eastern Roman Empire down to one city: Constantinople. Head up the Bosphorus to Rumeli Hisari, a castle-like fortress built in a mere four months by Fatih Sultan Mehmet to prepare for his attack on Constantinople. (Imagine your own worst enemy setting up shop ten miles away, waiting for his chance to destroy you.) 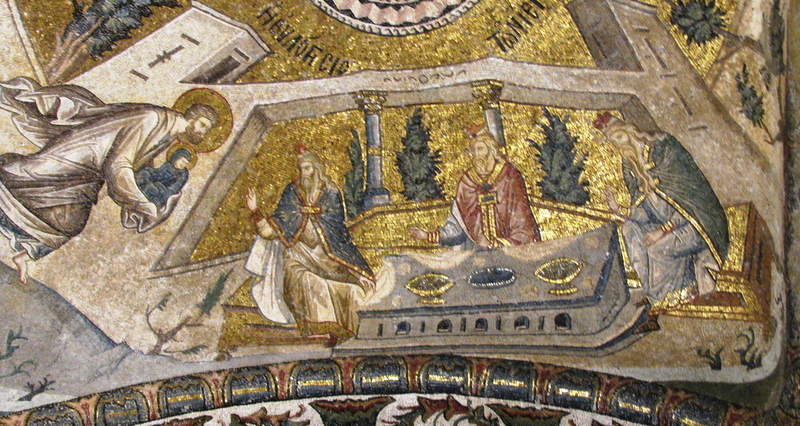 The Byzantines sent frantic letters to Europe begging for help, but little arrived. 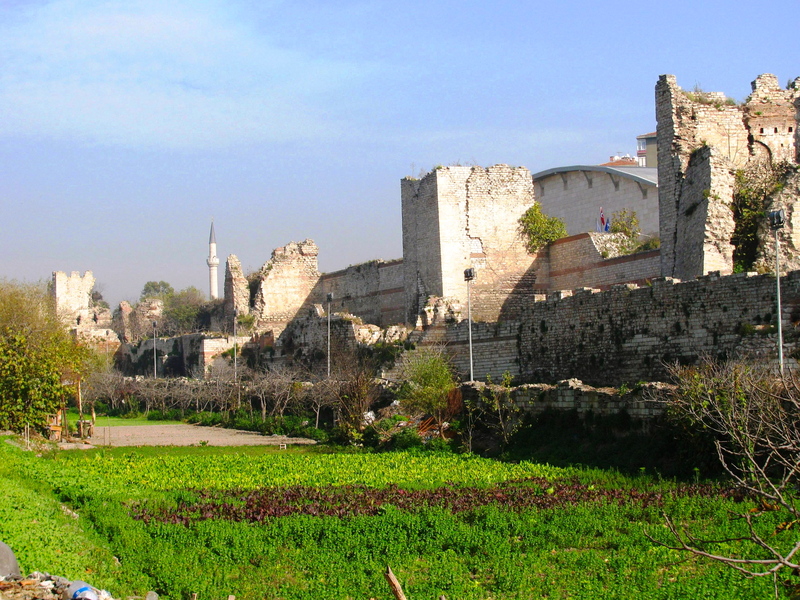 In Istanbul (formerly Constantinople), you’ll learn how the Ottomans outsmarted the Byzantines. 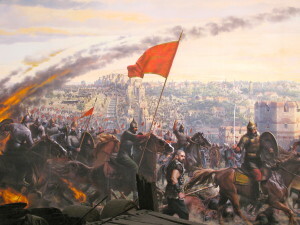 –Put yourself right in the middle of Fatih Sultan Mehmet’s final, fatal siege at the Panorama Museum. 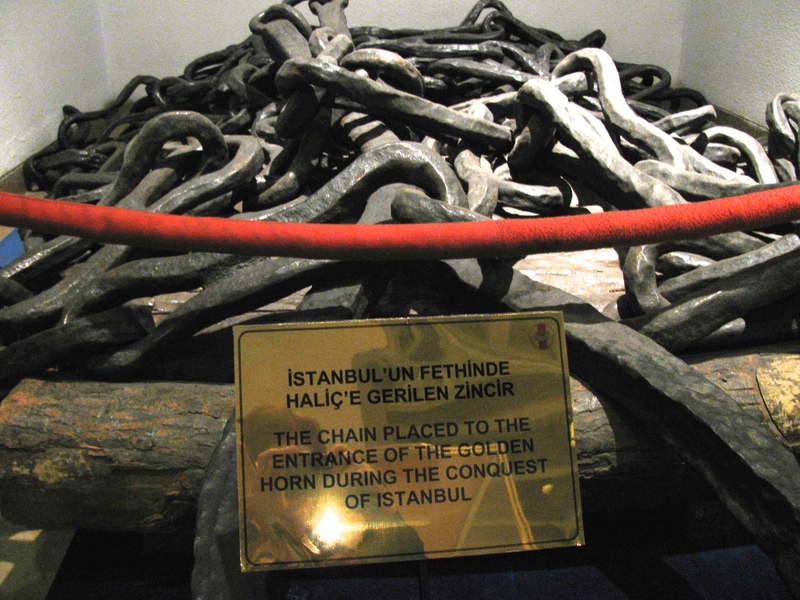 An exciting book called Constantinople: The Last Conquest, by Roger Crowley, gives all the gory details. Then: re-visit the Walls to pinpoint their weak spots. 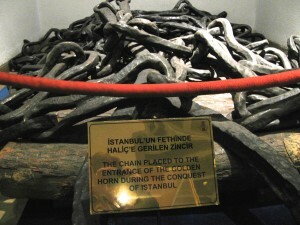 –Visit the Military Museum to touch the chain the Byzantines attached across the Golden Horn in an attempt to prevent Mehmet’s ships from entering and attacking where Constantinople was most vulnerable. Mehmet outsmarted the Byzantines. . . I’ll let you discover why on your own. –Now consider re-visiting the Hagia Sophia to imagine it full of frightened citizens, praying to save the city as invaders break down the walls. –Peer into the New Mosque (built in 1665) beside the Spice Bazaar and feel like you’re floating inside an enchanted cloud. Interested in more? Visit the grand hilltop Suleimaniye Mosque; the pink Mihrimah Mosque with its history of romantic longing; The Rustem Pasha Mosque, built in cooperation with business establishments next to the Spice Bazaar; and the tiny gemlike Sokullu Mehmet Pasha Mosque just off the Hippodrome. 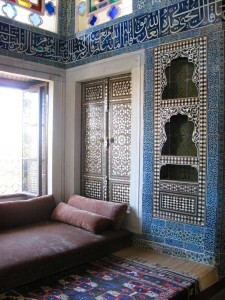 –Walk through the Topkapi Saray, the palace of the pleasure-loving Ottoman Sultans. Gaze upon their ornate robes, walk through their harem, and imagine yourself brandishing imperial swords and entertaining guests in cushioned splendor. 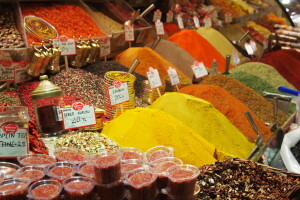 — Shop like a sultan: Head to the The Spice Bazaar to buy pomegranate-flavored Turkish Delight, dried sweetmeats, and Iranian saffron. Walk through the 500-year-old Grand Bazaar, a mesmerizing array of over 4,000 shops. 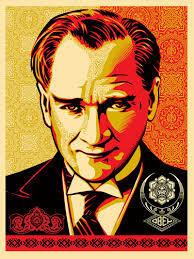 And finally, we come to the era of Ataturk, the father of Modern Turkey. This remarkable man fought off four invading countries at once—at one time, folks!—and then dragged a hidebound, superstitious country into modernity. 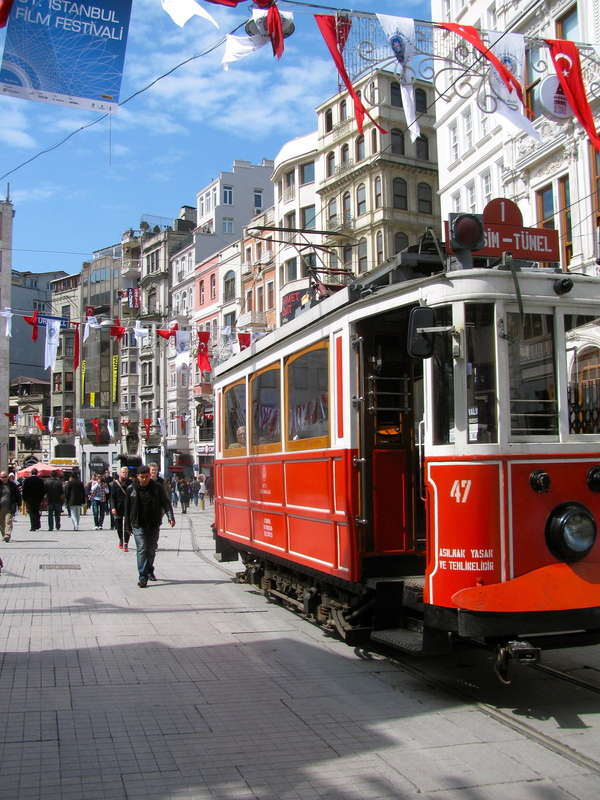 –Stroll glitzy, historic Istiklal Avenue and admire its architecture and exuberance. 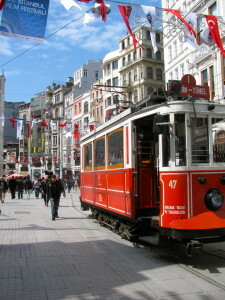 Istiklal is the word for independence, appropriate for the Ataturk’s Republic, admired throughout the Middle East. 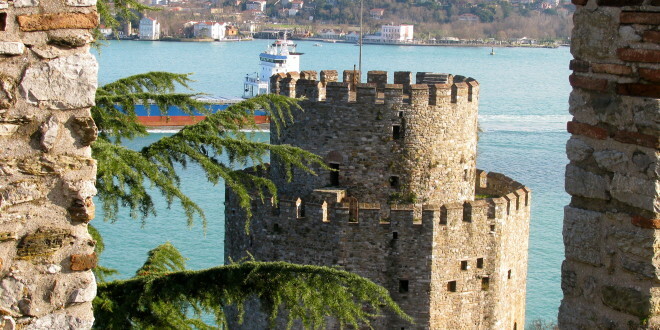 –Study the impressive black and white enlargements of Ataturk’s life that adorn the Sea Road on your way up to Rumeli Hisari. –Relish your ability to look up Turkish words thanks to Ataturk, who changed the Turkish alphabet from Arabic to Roman characters. 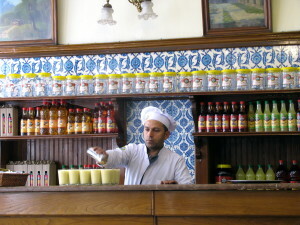 –Enjoy boza, a Turkish drink made from fermented bulgur, at Vefa Bozaci, a few blocks above the Suleimaniye mosque. Buy some roasted chickpeas across the street and add them to your cup as Turks do. 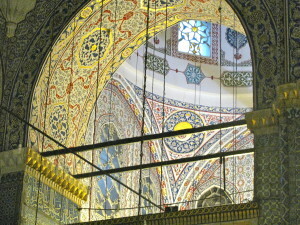 Ataturk’s cup hangs on the wall for all to see. –Admire Turkish pride in the cleanliness and vigor of Istanbul, the patience Turks display in traffic, and above all, the warm hospitality granted to visitors. 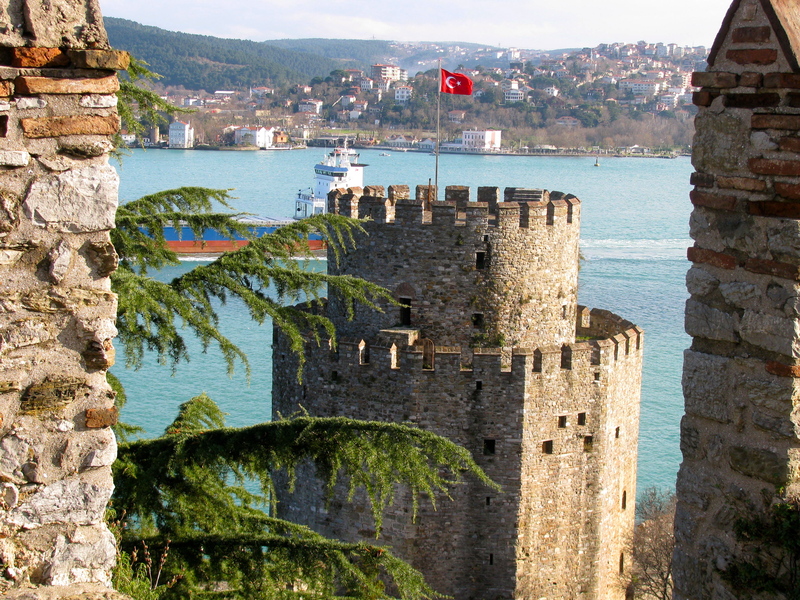 Now that you’ve read this post, you can start devising your own plan to “conquer” Istanbul! You can do a minimalist tour in two days, but I’d recommend three or four. Let me know if you have any questions! 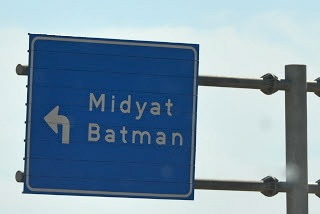 Note: Istanbul is a ten-hour direct flight from NY City. A ticket should cost you about $1,200.